Apple announced that the iPad will be available in Canada, France, Germany, Australia, Italy, Japan, Spain, Switzerland and the United Kingdom on the 28th of May, 2010. Consumers from those countries can pre-order all the iPad models from the Apple Online Store in all nine countries beginning on the 10th of May, 2010. 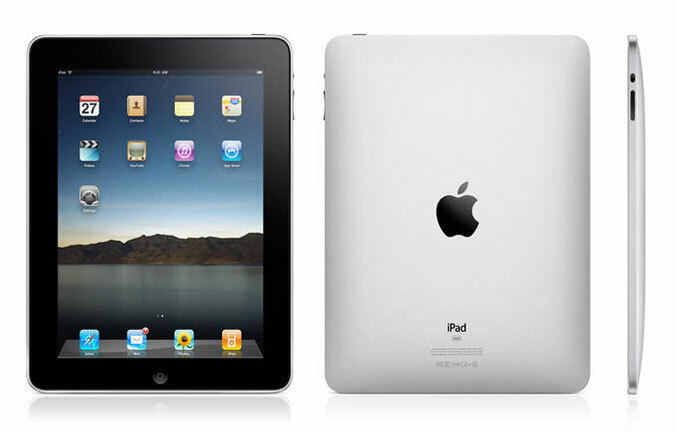 Apple has already shipped out over one million iPads in the United States. Consumers have already downloaded over twenty million applications from the App Store, as well as over 1.5 million e-books from the new iBook Store. Apple’s iPad allows the users to communicate and connect with their applications and content in a more intuitive and entertaining way than before. Consumers are able to browse the web, share digital photos, watch high definition videos, read electronic books, play games, listen to music, read and send e-mail and much more, thanks to the iPad’s revolutionary Multi-Touch user interface. Apple’s iPad weighs at just 1.5 pounds and is 0.5 inches thin, which is thinner and lighter than any other laptop or netbook device. The Apple iPad also delivers up to ten hours of battery life. Consumers can buy and download new applications from the largest app store in the world, wirelessly. The Apple iPad will run every single one of the two-hundred thousand applications on the App Store, and will include twelve new innovative apps which are developed especially for the iPad. It will also run applications which are already purchased for your iPod Touch or iPhone. Developers have already crafted more than five thousand exciting new applications which are designed especially for the Apple’s iPad, taking advantage of its Multi-Touch interface, large screen and high quality graphics. Apple plans to release the iPad in Austria, Belgium, Hong Kong, Ireland, Luxembourg, Mexico, Netherlands, New Zealand and Singapore in July. The local pricing, availability and pre-order plans will be announced at a later date.